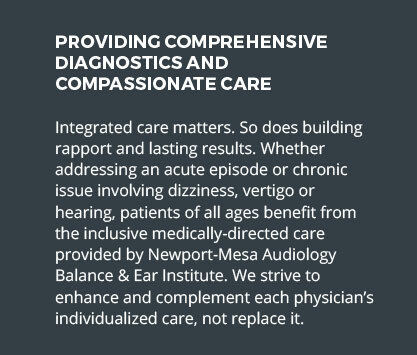 Maintain a heavy patient caseload within multiple levels of patient care and assessment needs in private Audiology practice. Overall duties include: evaluate, test, diagnose and treat. Collaborate with clinical and support services staff to mitigate issues that affect patient’s satisfaction and ensure an exceptional patient care experience. Determines type and degree of hearing impairment and implements habilitation and rehabilitation services for patient by performing the following duties. 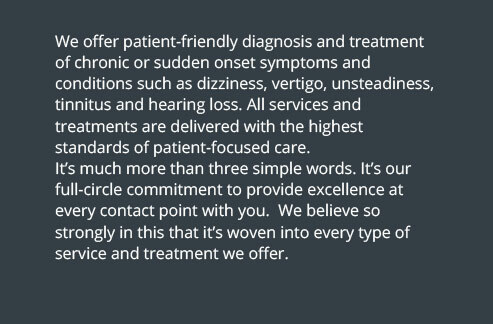 Plans and implements prevention, habilitation, or rehabilitation services, including hearing aid selection and orientation, counseling, auditory training, lip reading and any other treatment programs developed in consultation with other professionals. Administers a variety of diagnostic tests for evaluation to determine type and degree of hearing impairment, site of damage and effects on comprehension and speech. Tests can include but not be limited to: Related electrophysiology vestibular testing not limited to Electrocochleography (ECOG) electronystagmography (ENG), Posturography, ABR, VNG, VEMP. Hearing Aid screening and assessment testing, Balance Disorder, Optokinetic afternystagmus, OptokineticTilted-axis rotation (OVAR). Administer Vestibular and Balance evaluations with appropriate devices and equipment. 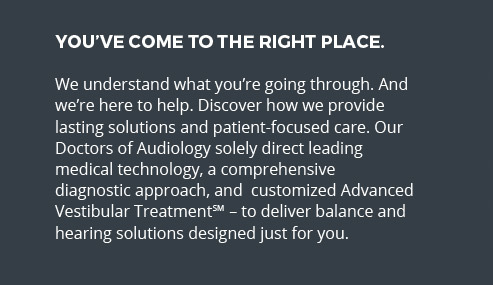 Provide amplification services including Audiologic Hearing and device evaluations. Offer hearing aid devices as needed. Educate patient on appropriate selections, fitting and care. Follow up with care, repair checks, and cleaning. Track hearing aid warranty program for expiration and renewal management. Supervise warranty mail out implementation and execution with support services staff. Refers patient to Physician or Surgeon if medical treatment is determined necessary. 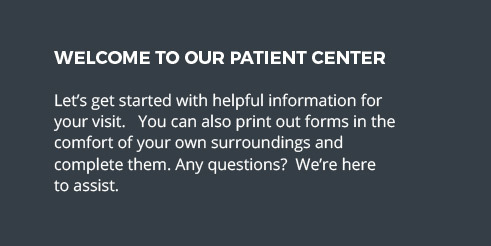 Inform support service staff to patient’s service/care requests. Complete chart notes for each patient seen on a weekly basis by Friday at the end of business. Send all written reports to Director of Audiology (for referring physician and patient upon request). Consults with Director of Audiology on hearing and balance disorder findings and recommendations. Participate in clinical and general staff meetings. supervision; displays understanding of how job relates to others; uses resources effectively. Project Management – Completes projects on time and budget. Communications – Expresses ideas and thoughts verbally; expresses ideas and thoughts in written form; exhibits good listening and comprehension; keeps others adequately informed; selects and uses appropriate communication methods, able to read and interpret written information. Managing Customer Focus – Establishes customer service standards. Teamwork – Balances team and individual responsibilities; exhibits objectivity and openness to others’ views; gives and welcomes feedback; contributes to building a positive team spirit; supports everyone’s efforts to succeed. Change Management – Communicates changes effectively; builds commitment and overcomes resistance. Conflict Resolution – Encourages open communications; confronts difficult situations; maintains objectivity; keeps emotions under control; uses negotiation skills to resolve conflicts. Impact & Influence – Uses authority appropriately to accomplish goals. Ethics – Treats people with respect; keeps commitments; works with integrity and principles. Adaptability – Adapts to changes in the work environment; changes approach or method to best fit the situation; able to deal with frequent change, delays, or unexpected events. Consultative Selling – Builds rapport and establishes trust; applies product and market knowledge effectively; presents solutions that meet customer objectives. Innovation – Meets challenges with resourcefulness; generates suggestions for improving work; presents ideas and information in a manner that gets others’ attention. Judgement – Displays willingness to make decisions; exhibits sound and accurate judgment; supports and explains reasoning for decisions; includes appropriate people in decision-making process; makes timely decisions. Quality – Demonstrates accuracy and thoroughness; looks for ways to improve and promote quality; monitors own work to ensure quality. Demonstrates attention to details. Doctoral degree in Audiology required; Minimal experience or recent grad considered. Ability to effectively present information to key management staff. Ability to define problems, collect data, establish facts, and draw valid conclusions. Ability to interpret information with several abstract and concrete variables. To perform this job successfully, an individual should have knowledge of Internet software; Word Processing software; Contact Management systems and Scheduling Processing Systems. Dispensing Certification in California is preferred. While performing the duties of this Job, the employee is regularly required to stand; use hands to finger, handle, or feel; reach with hands and arms and talk or hear. The employee is frequently required to walk. The employee is occasionally required to sit and stoop, kneel, crouch, or crawl. The employee must occasionally lift and/or move up to 10 pounds. Specific vision abilities required by this job include close vision, distance vision, color vision, peripheral vision, depth perception and ability to adjust focus. While performing the duties of this Job, the employee is regularly exposed to moving mechanical parts. The employee is occasionally exposed to outside weather conditions; extreme cold and extreme heat. The noise level in the work environment is usually moderate.